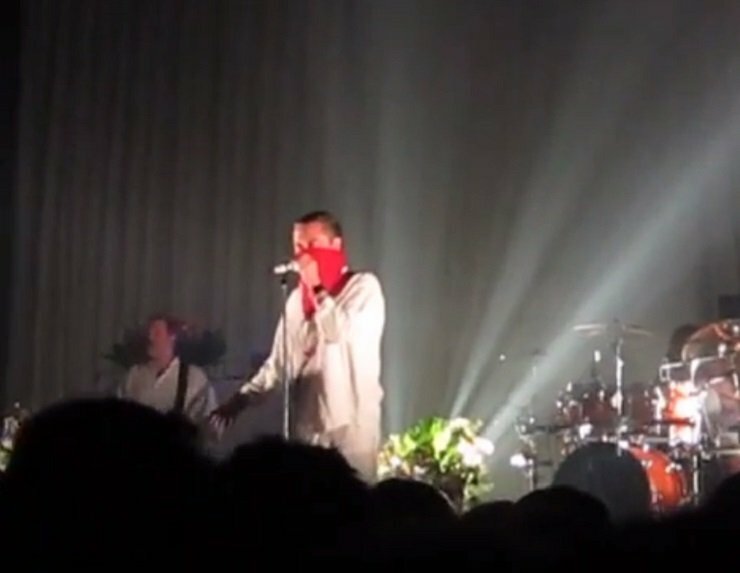 Footage from a Faith No More concert in Tokyo this week has given us a sneak peak of the band's much-anticipated Sol Invictus LP, with the a video showing off the sinister sounds of a new tune reportedly titled "Cone of Shame." The song starts off with an unsettling western motif, with Mike Patton's vocals taking on hushed, haunted tones. Soon enough, the track explodes into a metallic assault of crushed drums, big licks, and Patton's assemblage of grizzly monster howls and soul-searching croons. While full details on the LP have yet to be revealed, Sol Invictus comes out May 19 through Faith No More's own Reclamation Recordings, via frontman Mike Patton's Ipecac Recordings. Ahead of that, new tune "Superhero" arrives on a 7-inch March 17 and digitally March 31. The band's ongoing world tour continues, hitting North America in the spring. You'll find date details over here.